A former top cop, now a crackerjack attorney, Chloe Ryder always gets to the heart of the matter. She never lets anything or anyone get past her cool, protective exterior. Yet even she can't keep her feelings on ice when a murdered man is found in the sanctuary of her church and Father Brendan, beloved by all his parish is suspected of the shocking crime. To protect the innocent priest, she is forced to investigate the case with her former lover, Detective Matthew Diel. And to this day only Matt knows the secret tragedy in Chloe's past. Working with her again, he soon realizes some painful truths. He never stopped loving her -- and he may never again get the chance to prove it, because a killer is watching their every move. Despite all that, I really loved LAST BREATH. It was a highly captivating plot. A fast-paced, edge-of-your-seat thriller. It delves into sensitive subjects such as domestic violence, homosexuality, catholic church scandals and politcs, and governmental conspiracy. But above all, it's a classic 'whodunit?' With so many twists and turns, even when I knew who it was, I didn't really know who it was. Character development is off the hook! These people are practically jumping off the pages to perform the scenes in 3D. They're so life-like which makes it easy to sympathize with them and root for them. Even the "bad guys" I couldn't help but be sympathetic towards. As for the writing, I loved it immensely. It had the "flow" that I always look for in books. I'm a fan of Rachel Lee's contemporary romances under the name Sue Civil-Brown, so I was somewhat familiar with her, although this is the first thriller I've read by her. I'd definitely read more of her books. Overall, I'm very pleased with almost every aspect of LAST BREATH except for the misleading direction of the blurb. I was tempted to knock off a point in the score because of it, but in the end I didn't. I feel the score is a valid reflection of my feelings for the story that I read and enjoyed, despite the blurb and any falsification contained there. 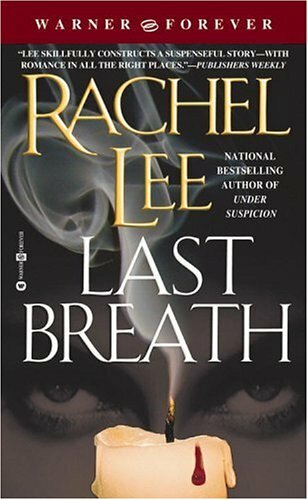 I'd recommend LAST BREATH to fans of murder mysteries/thrillers/suspense novels.